Weight: Dry - 803 lbs. | Filled - 4,222 lbs. 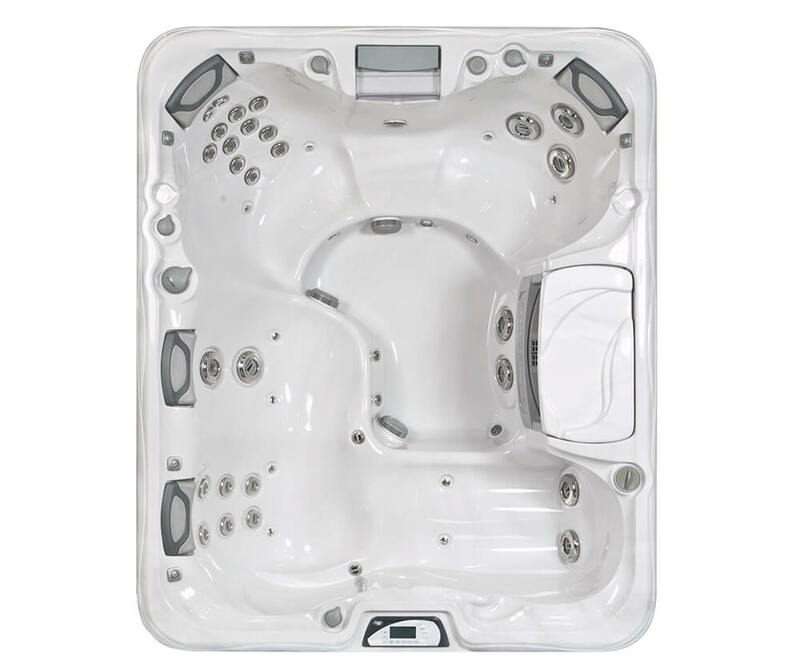 With room for up to five adults, the Marin® spa maximizes comfort and hydrotherapy through seats thoughtfully designed around people. 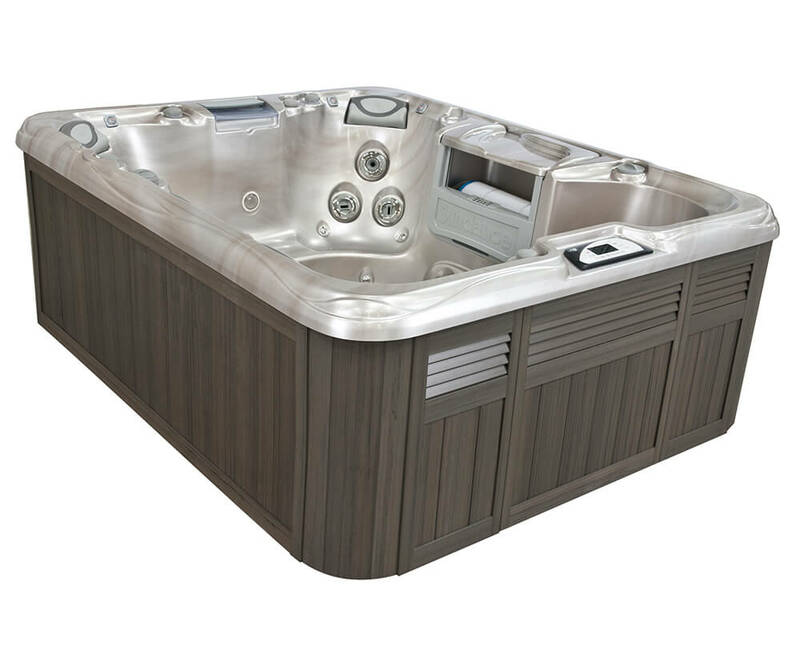 This 880™ Series model has the best of everything and more, including a spacious lounge seat and a dual-purpose beverage concierge filter lid that makes it easy for everyone in your family to enjoy your spa. A spacious lounge seat delivers a comfortable head-to-toe hydromassage. The deep, full-body immersion Accu-Ssage™ Therapy seat is a customer favorite. A unique, lounge-adjacent seat is positioned to allow you to sit intimately side-by-side.